Finding your way to The Maine Beaches is easier than you could imagine. You can head north on I-95, or you can travel by plane or train from Boston, and other points. Arriving by boat? Consult with the local harbormaster in your destination community to make advance mooring or slip arrangements during busy times of year. Here’s a link to our easy-to-read and downloadable regional map. 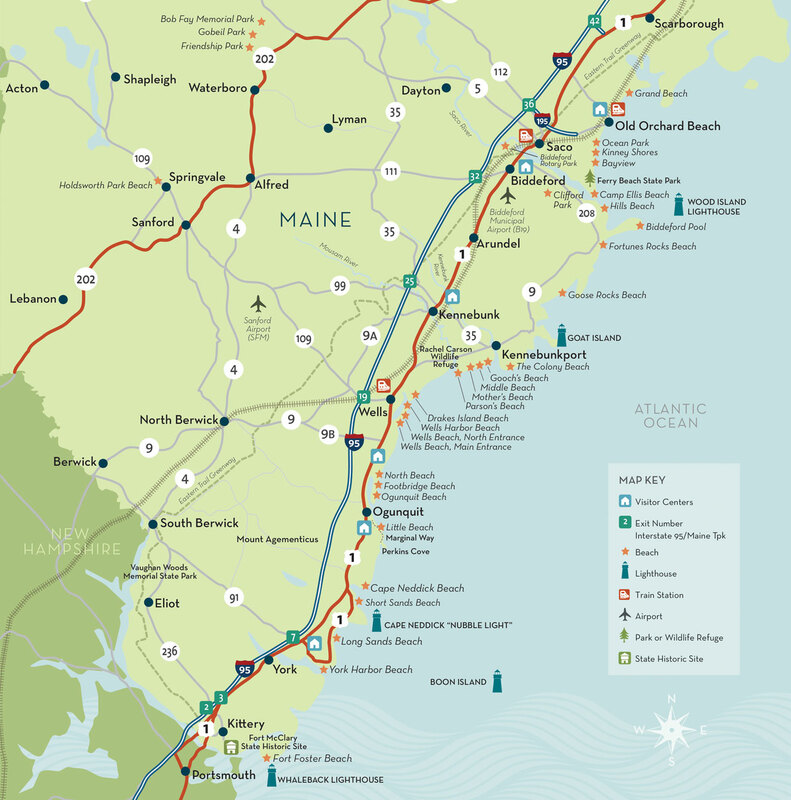 We’ve put it together with key regional travel routes, destinations, beaches, lighthouses, and other local attractions.